The folks at Zenith Radio Corp. were none too pleased by this move. Zenith had been operating its Phonevision experimental programming on channel 2. Cmndr. E.F. McDonald, president of Zenith protested the FCC decision, claiming it had been the sole occupant of channel 2 since 1939. But the FCC didn't see it Zenith's way. 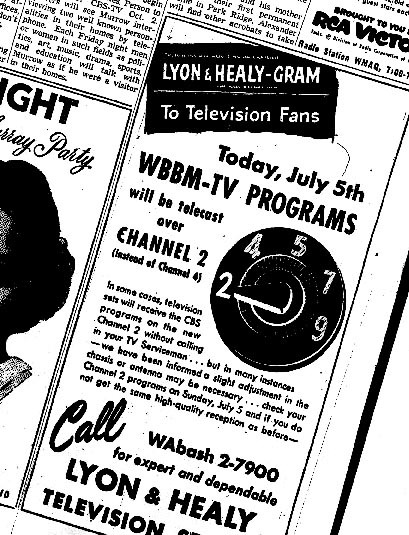 On July 5, 1953 WBBM-TV moved to channel 2 and Chicago's channel 4 went dark. 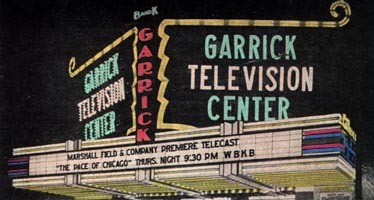 In a September 9, 1956 article of the Chicago Tribune about the three major networks warming up to the idea of airing their "spectacular" programming via a pay television system instead of through their normal operations, McDonald, still licking his wounds after losing channel 2 to CBS, blasted the networks new position stating that true pay television would provide the viewer with programming that conventional sponsorship could not offer. Though Zenith never operated another television station in Chicago, it did donate it's facilities to WTTW. On Valentine's Day 1953, Dr. John T. Rettaliata, president of the Illinois Institute Of Technology was elected to chair a committee for the development of a educational television station designated by the FCC for channel 11. The FCC had set aside channels in several cities for educational use and indicated that if no efforts were made by local administrators by July 6, 1953 the channels would become available for commercial use. The result was the formation of The Chicago Educational Television Association and at 4 pm on Monday September 19 1955, WTTW signed on with Chicago Public Librarian Lillian New as "Miss Bunny, The Story Lady" reading "Millions Of Cats," and "Ferdinand." With all the available VHF channels occupied, anyone wanting to operate a station in the Chicago area would have to go to the UHF band spectrum which at the time was comprised of channels 14 to 83. In fact since January 8 of 1953 Chicago's first UHF construction permit had been assigned by the FCC for WHFC-TV which would have aired on channel 26. Another was WIND-TV which was granted a construction permit for channel 20. By 1958, a third UHF station had been issued a license to broadcast in Chicago, WOPT-TV on channel 44. None of these stations ever aired. 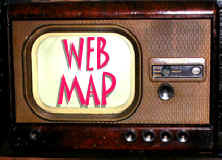 Other UHF no shows were WTVG, actually licensed to Joliet, on channel 14; WFNT, assigned to channel 66 and Elgin; and WTLE, which would have been channel 32 out of Evanston. 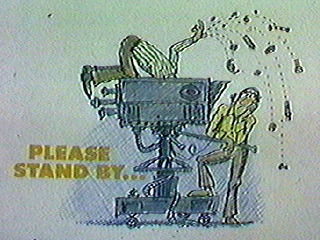 The license for channel 26 was eventually sold to Weigel Broadcasting Company which changed the calls to WCIU-TV and after several weeks of running test patterns signed on officially at 6 pm on February 6, 1964 with opening ceremonies hosted by station owner John Weigel. The construction permit for WIND-TV- channel 20, originally held by WIND Inc. (a partnership formed by The Chicago Daily News and the Ralph L. Atlass Family, who began WBBM (AM) and included WIND (AM) radio) was sold on November 8, 1956 to Westinghouse Broadcasting Co. for $5.3 million. However Westinghouse chose not to do anything and offered the permit to Edward L. Ryerson of The Chicago Educational Television Association, who made it WXXW and began educational telecasts late in 1965. The station would be sold in 1977 to the Chicago Metropolitan Higher Education Council for $65,000. The station would reappear on channel 20 in 1982 as WYCC as an outlet for the City Colleges of Chicago.